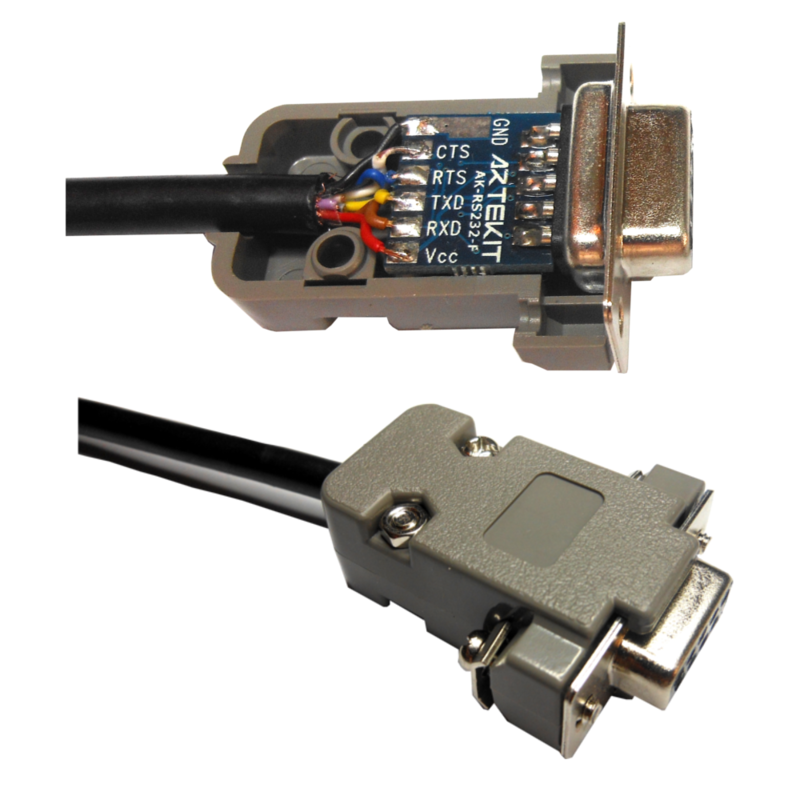 The AK-RS232 is a TTL (transistor-transistor logic) to RS232 converter that fits inside a standard DB9 plastic case. Based on the ST3232B chip from STmicroelectronics. 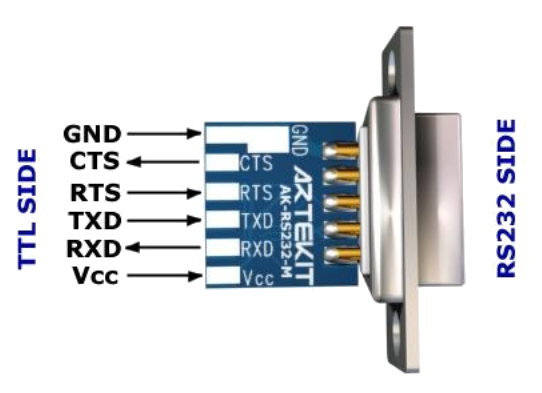 The AK-RS232 is a TTL to RS232 adapter that converts TTL signals from a microcontroller UART (typically 3.3V or 5V) to RS232 signals like the ones you can find on a PC or MAC. 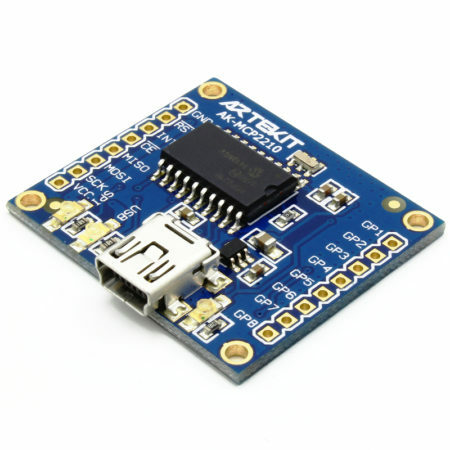 Basically, this boards allows you to connect your microcontroller UART to a PC/MAC serial port. 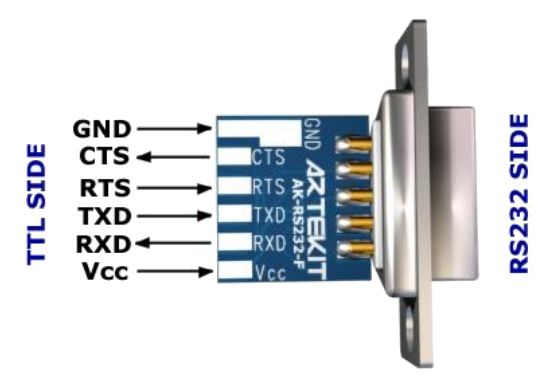 This adapter can be used with any microcontroller (PIC, Atmel, ARM, ARM Cortex, Renesas, etc), and allows bidirectional communication: converts signals from TTL to RS232 and from RS232 to TTL. 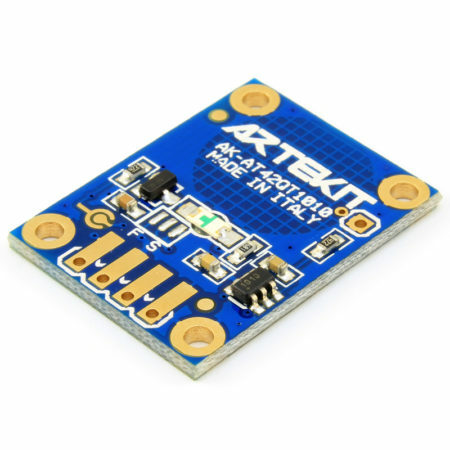 The AK-RS232 accepts power supply and TTL signals from 3.3V up to 5V. The board is built around an ST3232B chip from STmicroelectronics, and drives all the signals you can typically find in a serial port. That is: RX/TX and CTS/RTS. 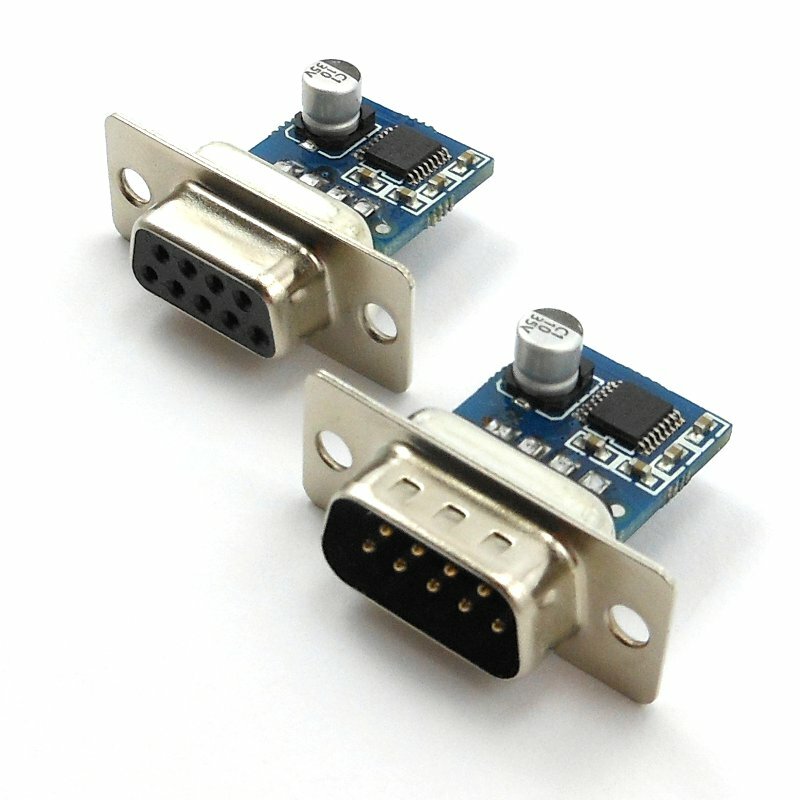 You can purchase it with a female or male DB9 connector, with or without the plastic case, by choosing the possible combinations in the drop-down menu here above. 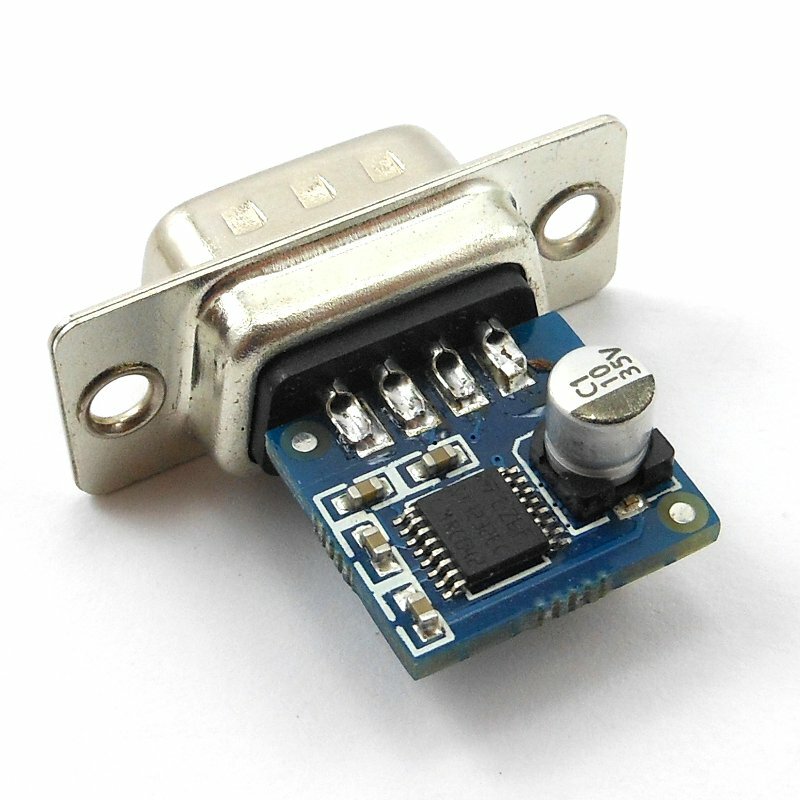 We also ship a TTL to RS232 converter breakout board without the DB9 connector. The board comes fully populated and tested. Converts signals from TTL to RS232 and from RS232 to TTL. High speed (typically 400 kbps, 300 kbps minimum guaranteed). Works with any PC or Laptop. 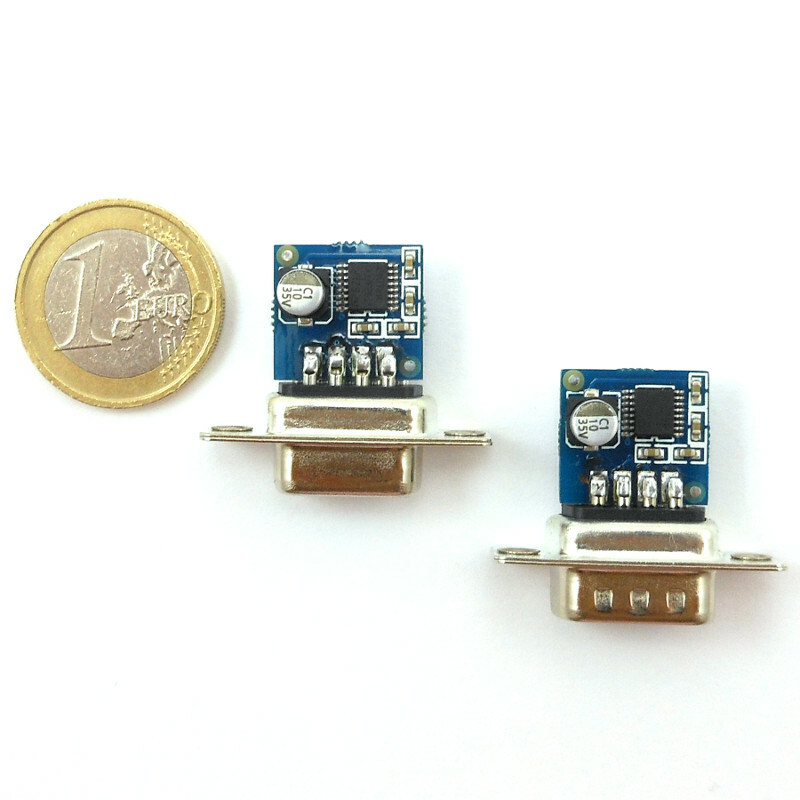 Suitable to interface any microcontroller, such as Microchip PIC, Atmel and any Cortex. Fully designed and assembled in Italy. 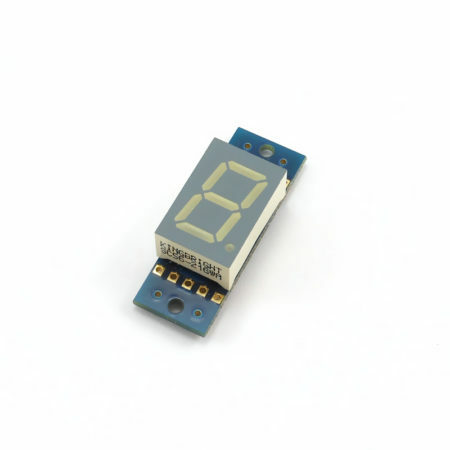 Manufactured with a top-quality, two layers PCB. For high-volume (+100) purchases please use the contact form for ordering and discounts. 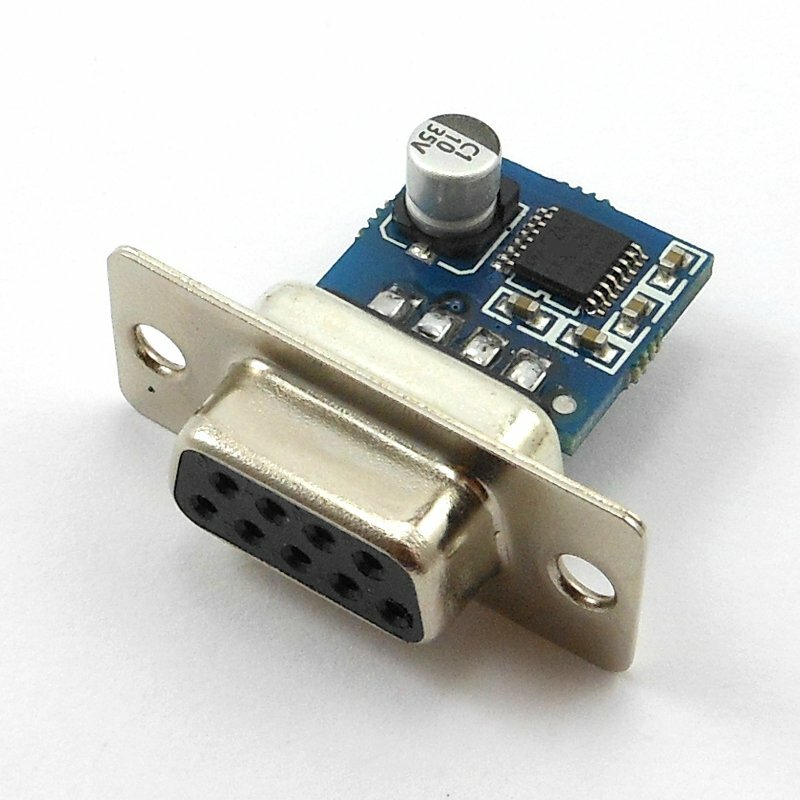 Can I use this product to interface a vending machine with an RS232 port on the computer? 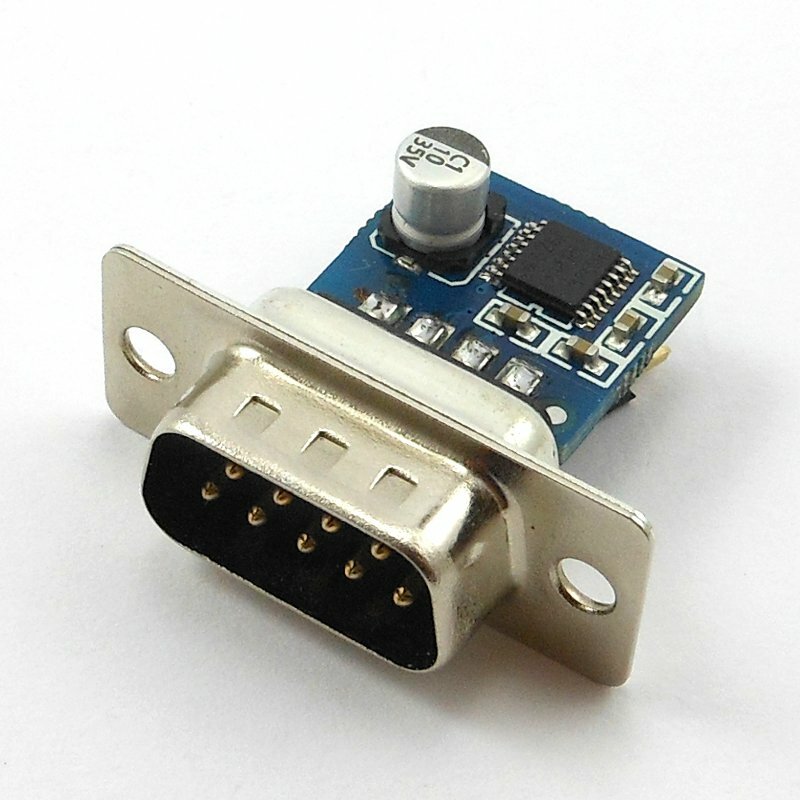 I am trying to use this product to convert serial output from an Arduino (TTL) to serial port on PC (RS232), but I am not able to get any data to the serial port on the PC (or back to the Arduino for that matter). 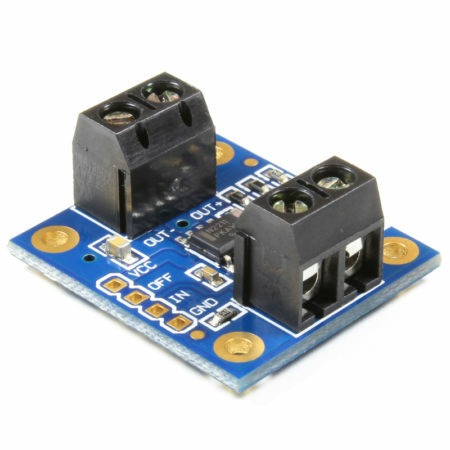 I have powered the converter with 5v as the Arduino, and shared ground with the Arduino. Baudrate Arduino is sending at is 57600, which is what the PC port is opened to (N81), no flow control. Serial output of Arduino is connected to Tx on converter. Any hints as to where I’m going wrong ? 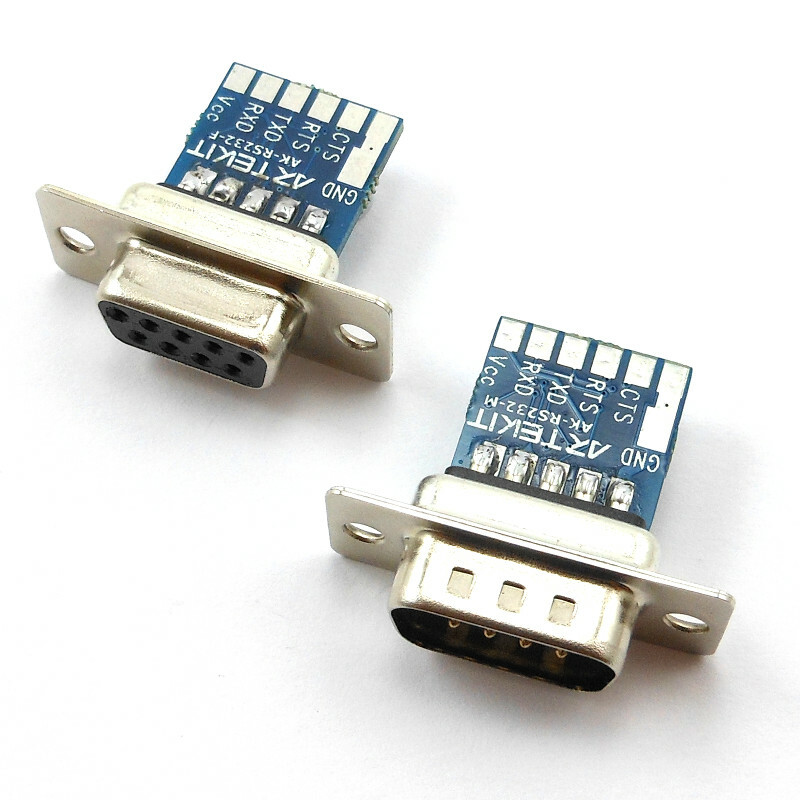 Has anyone tried to run the ” AK-RS232 – TTL to RS232 Converter” at 500kbps- is it durable? Hi. We’ve never tried that baudrate. The ST3232B datasheet specifies a typical 400kbps data transfer rate, so I would stick with that. What is the maximum baud rate of this product? Hello Ray. Typically 400 kbps. 300 kbps is the minimum guaranteed.